There are dozens of good reasons to design your parts so they’re easy to machine. Besides the fact that CNC machining is the means by which your design will become a real thing, a part design that’s ready to be machined will also cost you a whole lot less than one that isn’t or one that is just less ready. At MakeTime, we call a part that’s been designed so it’s easy to be machined DFM ready. Design for Manufacturability (DFM) is a philosophy of part design that reduces errors in machining, reduces part cost and ensures parts are produced timely and efficiently. In short, it’s a way of designing that enables designers to always get the part they’re after for the lowest price possible. While an entire book could be written on the subject, we have a few tips that should at least help you get started. Sometimes, designs are particularly complicated and require more detail. If your part fits that bill, be sure to tell all. Extra tight tolerances, specific features — whatever it is, note it and explain it. It’s better to overstate than pay for a batch of parts that look just like the design you provided but nothing like the design in your head. Clear dimensions don’t happen by accident. All features of the part should be measured from a common point to guarantee every one of its critical features is properly placed. When a 2D part file’s measurements haven’t been taken from a common point — e.g. one feature is measured from the left top corner and another is measured from the right — tolerance “build-up” can occur so that the parts that make up your overall assembly no longer fit together. Super-tight tolerances exist for a reason, but designers often dictate a tighter tolerance than is necessary given a particular part’s application. It’s important to be as loose as you can and still get the part you need. Most materials and most machines can achieve a reliable general tolerance of .005”. Anything tighter is going to start increasing the price of a part almost exponentially. So if you don’t need it tighter, don’t ask for it. You’ll save yourself time and money and increase the likelihood that your parts will be delivered to you at quality. Whenever possible, design parts to use stock material sizes. Not only will doing so reduce how much material is wasted, but stock material sizes also decrease the amount of machining time required to make a part since bulk removal won’t be necessary. An added bonus? Anything about a CNC machined part design that can reduce waste and save time will also save you money. DFM is a world unto itself, and these tips are just the beginning. 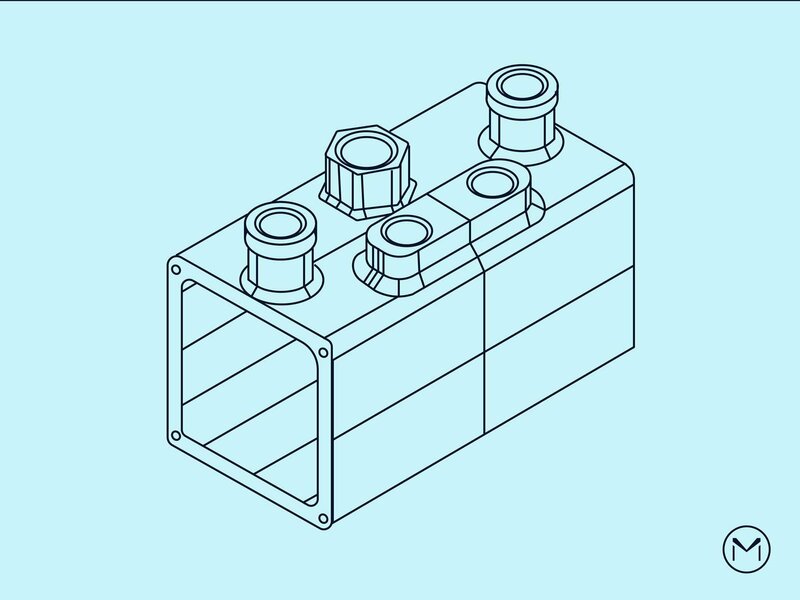 We’ll hit this topic more in the near future to unpack further what it means to design a part for manufacturability. Find out how MakeTime can streamline the production of your CNC machined parts here. Or, check out our on-demand webinar with MakeTime’s DFM and CNC machining expert, Rod Lindauer, as he walks you through the Do’s and Dont’s of DFM-readiness to ensure you always get what you want and that you save time and money while you do it. Watch the webinar here.